ITM-3 Helps you meet your Sustainability Goal. Need a Solution to Meet your Sustainability Goal? Sustainability is important to all of us, whether your business is Dairy processing or Craft Brewing. The ITM-3 can provide significant help in increasing product recovery and reducing waste creation. The Principle of operation of the ITM-3 Turbidity meter is based on an infrared light source that is mounted behind a sapphire lens. The light is emitted into the product stream from the tip of the sensor. Light that is irradiated back by the particles present in the stream are measured by a receiving sensor also located on the tip behind the sapphire lens. 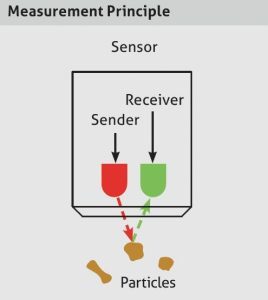 As the concentration of particles increases so does the light returned to the receiving sensor giving a correlation between the concentration of particles and increased backscatter light equating to a measurement of turbidity. Bob Ksiazek presented at ProFood Tech about the benefits of using Anderson-Negele's ITM-3 turbidity sensor as a way to improve sustainability. 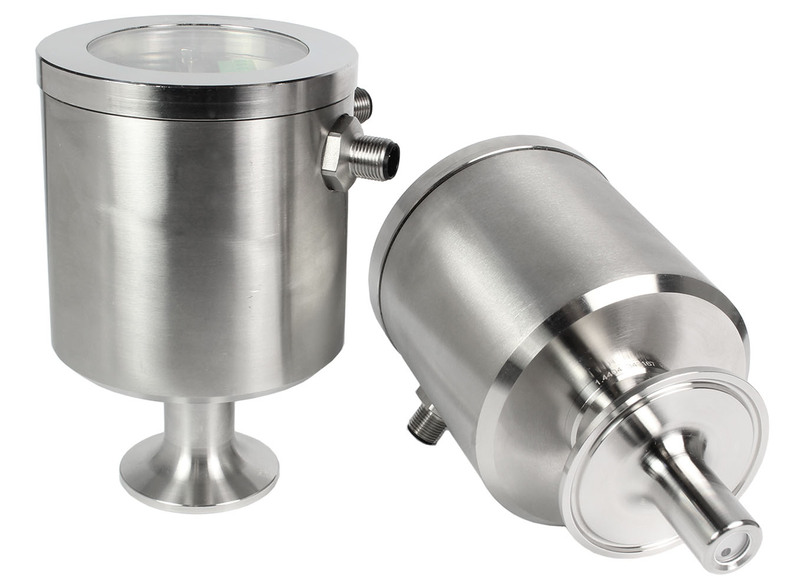 A turbidity sensor is located on the discharge piping prior to the final destination the transfer line such as a filler or finished product storage. Following a production run the piping schematic is chased with water to recover product to the end destination. A turbidity monitor gives indication that the product-water interface has finished moving through the piping schematic. The ITM-3 is located at the discharge of the processing system to continuously monitor the relative turbidity of liquid in the pipeline. When a product process run is completed a water flush is initiated on the input side of the system to push the product from the system into the final destination. The ITM-3 continuously monitors the solids content of the outgoing liquid and gives an analog output signal of the relative turbidity. As the turbidity begins to decline caused by dilution with water a decision is automatically made by the control system to redirect flow to drain or the waste water recovery system. Fast acting electronics offer quick response to product changes enabling predictable recovery LED lamp technology avoids deterioration in measurement experienced by other illumination sources providing years of trouble free service. Standard programmable switched and analog outputs simplify integration into plant control systems Extended length “L” model overcomes the difficulties of measuring transition with high viscosity product applications Selectable ranges increase resolution to achieve optimal trigger points for flow diversion. An ITM-3 turbidity sensor is located on the outlet of a beer fermentation tank. During fermentation, the yeast pitched into the wort multiplies two to threefold through respiration of the oxygen dissolved in the wort. When the wort extract is fully fermented, the young beer is cooled down and the yeast settles in layers on the bottom or cone of the tank. The lowest, densest layer consists of dead yeast cells. The middle and still very dense layer consists of living yeast cells with a high fermenting power known as “white yeast”. The upper layer, or light brown yeast, is mixed with beer and is less turbid (Fig. 1). During the first yeast harvest, the bottom two layers are carefully extracted and separated because the white yeast is reused, or even marketed, as so-called “pitching yeast”. During the storage and ageing period, the remaining yeast largely settles out as brown yeast. When the tank is emptied, the brown yeast is carefully separated from the beer as this has a major impact on the beer quality. Many breweries still monitor yeast harvesting manually. The process is controlled by checking the turbidity through a sight glass. 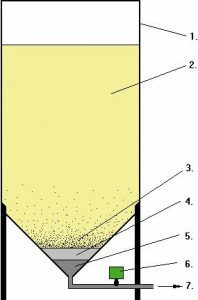 Due to differences in the number of yeast cells and in the density of the yeast layers, turbidity measurement can be used to differentiate between the layers (Fig. 2). For this purpose, an ITM-3 turbidity meter is installed at the fermentation tank outlet. It continuously measures the turbidity in % and outputs the measured value as a 4-20 mA analog signal to the process controller. By simply adjusting the setpoints, the yeast harvest can now be controlled precisely, reproducibly and automatically. Precise, reproducible measurements guarantee a consistent product quality. Time savings quickly amortize the cost of investment and make production more profitable on a lasting basis. Favorable price-performance ratio.